Hi all I was just wondering what is your preference for Ketchup. Does anyone remember back in the 1960's Hunts had like a smoky flavored ketchup?? 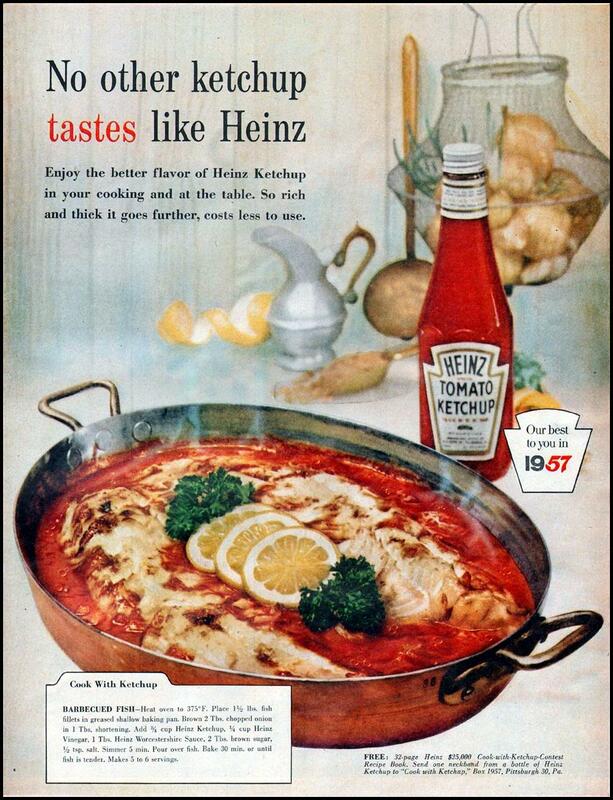 Being from Pittsburgh I am a Heinz girl. Probably like toothpaste, it's what my parent's used. Red Gold is that a brand? I have never heard of it? Red Gold is almost mandatory in most " Local " restaurants in Indiana , including wall signage. When I was around ten, my mother once brought home Hunts. Everyday, I am getting closer and closer to forgiving her for this. Brooks, when it was around. Ketchup is almost too sweet these days. I will pick Red Gold for my tomato products whenever I cook. Great quality and I like to believe that I am supporting a small American owned business. (Please don't tell me that the last part is wrong ). The last part is the main part. At first, I thought I'd never heard of that brand, but I looked it up... and wow, I do remember that heart-logo. I associate it more with canned goods, though. In searching for images, I also came across a couple of other brands with which I was genuinely unfamiliar. Can anyone speak to Snider's or Ritter? Del Monte I remember seeing on shelves when I was little, but not recently. ... and I'd bet my bank account that they don't use pineapple vinegar anymore. Brooks used to have tasty beans too. They might have been Indiana based as well. We were a big DelMonte family. ....but is it "ketchup" or "catsup"...funny how brands prefer one over the othjer. For us it was always ketchup! 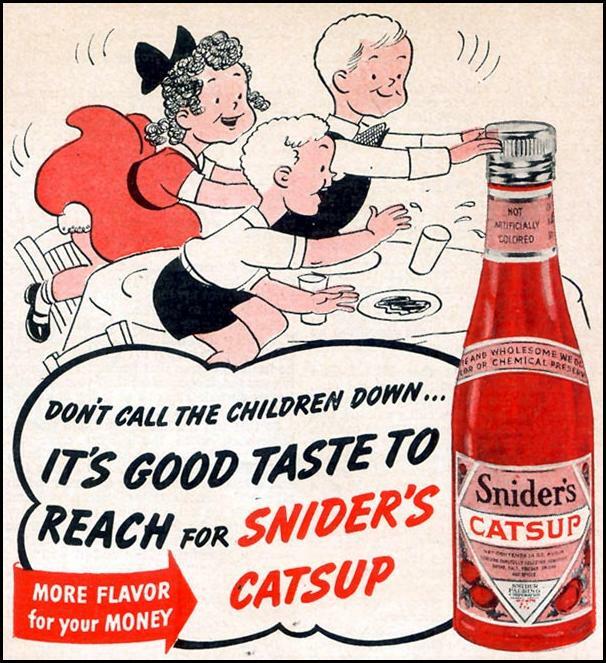 I get the sense that "catsup" used to be the dominant way of writing it, but "ketchup" has now become more or less the standard. 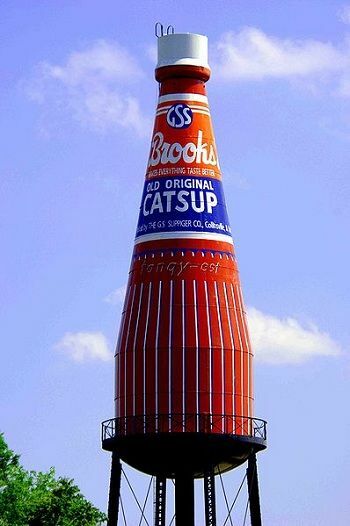 If here are people in the world who don't know how to spell catsup it's not my fault. For me it comes down to availability and quality. My go-to when I feel like a break from Heinz is actually Whole Foods' 365 brand ketchup, which surprised me one day when I had an unplanned breakfast there. More complex than Heinz, and if it were at more than one grocery chain, I'd probably be buying it a lot more often. 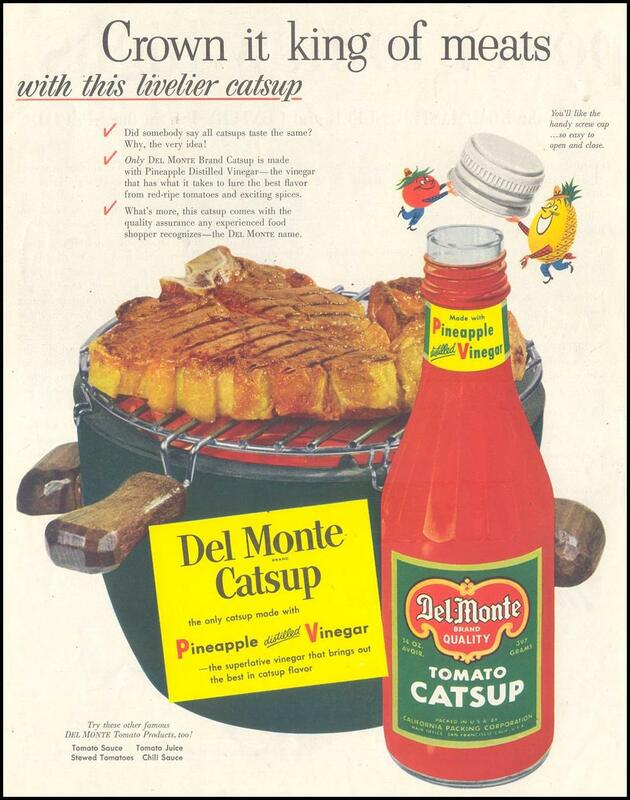 Del Monte was the ketchup I grew up with. Nowadays I vary between Heinz and Hunt's, buying whichever HFCS-free version is available as not all stores carry all varieties. Besides, they're both delicious on hot dogs! 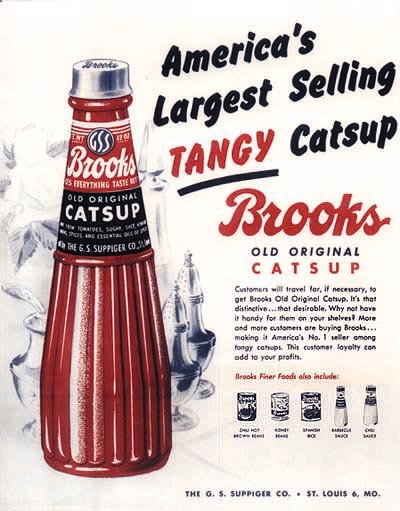 I used to love Brooks Tangy Catsup but even back in the day it was hard to find. I try to avoid high fructose corn syrup whenever possible so that leaves Real Gold out. 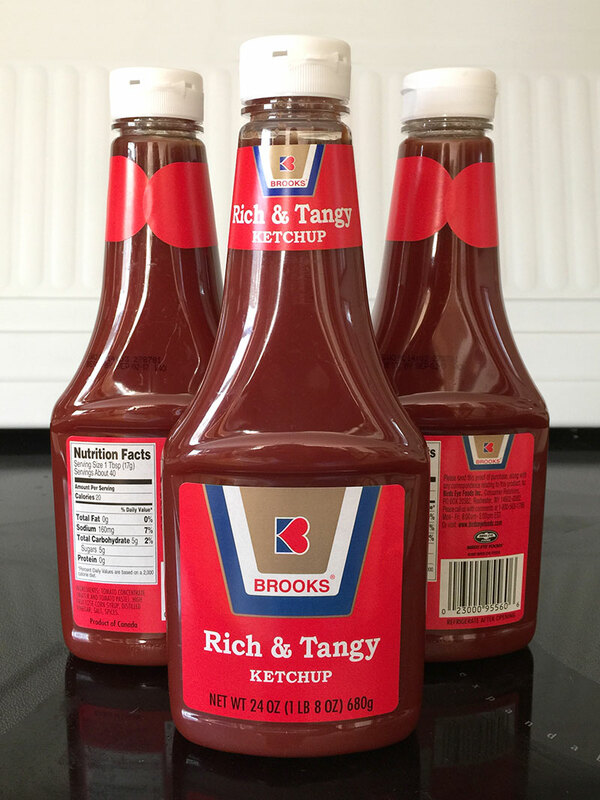 Aldi's Organic Ketchup rocks but I suspect it is Organic Heinz. Hunts without hfcs is very fresh tasting but it must not have sold too well as it is now hard to find. Big letters that used to say, "No High Fructose Corn Syrup" have been replaced with big letters, "No Preservatives" which looks similar and must appeal to people who don't read labels. Nope, it isn't wrong. Red Gold's factory is just a short drive from my house up state Hwy 37. They are a local business using locally grown tomatoes (for the most part). Personally, I'm a Simply Heinz guy when it comes to ketchup. Less junk in it and no HFCS. Tastes like ketchup ought to. I buy Red Gold. I don't analyze the complexity of flavors, etc. I just like it. As much as I use it. If I were ever forced at gun point to put ketchup on a hot dog, it would be Organic Heinz. What a horrible thought all the way around! I'm from Pittsburgh and a loyal Heinz customer. I especially like Simply Heniz which is getting slightly easier to find. When I was growing up, a tour of the Heinz plant (with a pickle pin at the end) was a favorite birthday party activity! We used three...Heinz(the most), Hunts, and Del Monte(mom and grandma used Del Monte a lot.Guess it sounds Italian). Hell mom's recipes say things like "add one can of Del Monte" Lots of Italians up north called tomato sauce in a can,"Del Monte". Ketchup wasn't bad either! If I were forced at gunpoint to put catsup on a hot dog I'd let the guy with the gun eat it. I changed my Heinz ketchup for Hunts a few years ago. Zippier flavor. Trader Joe's Dijon mustard. Amazing value and, strong! Switched from Hellman's to Blue Plate about a year ago for my Mayo. Although, I may try Duke's next when I use up my container of Blue Plate.